One historic event of the 2019 Mello Yello NHRA season gave three drivers a chance to earn their own golden victories this weekend at Gainsville Raceway. 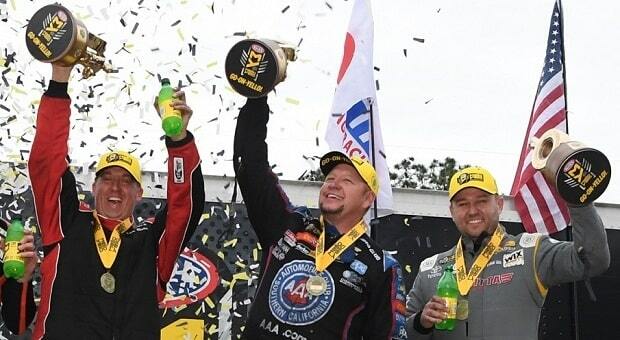 As the winners of the momentous 50th annual Amalie Motor Oil NHRA Gatornationals, Richie Crampton, Robert Hight and Bo Butner will forever have their names memorialized in drag racing history. 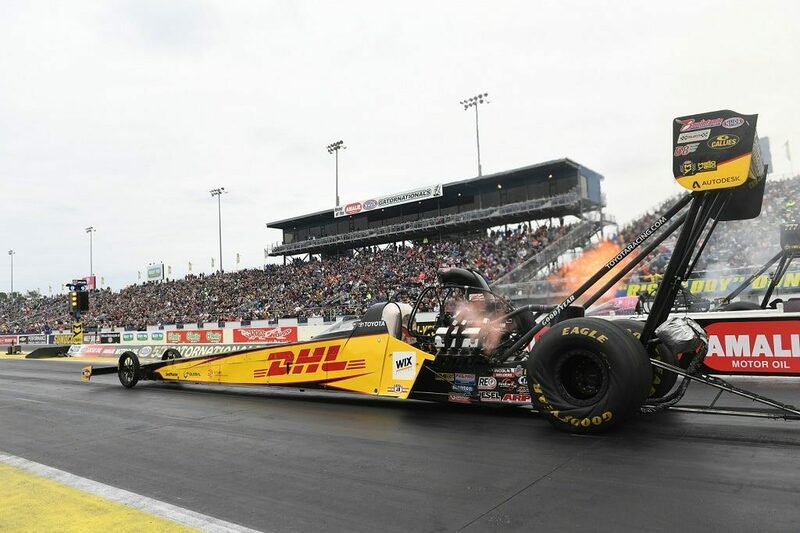 Defending event champion Kalitta Motorsports DHL Top Fuel driver Richie Crampton extended his Gainsville Raceway win streak to seven rounds after taking down Antron Brown, Leah Pritchett and the most surprising No. 1 qualifier of the season thus far – T.J. Zizzo. Following these impressive wins, Crampton moved on to Sunday’s final round against Clay Millican. After his DHL machine left the line first, Crampton took the win against Millican on a holeshot pass by a final margin of just .0032 seconds to obtain yet another Gatornationals win. Despite this legendary win, Crampton will have to keep it up if he hopes to take over the Top Fuel points lead going into Las Vegas. 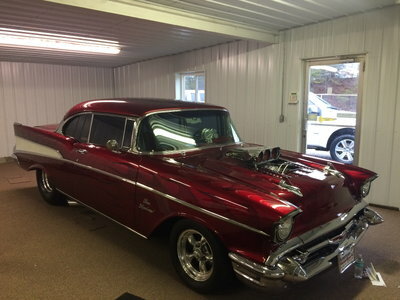 Crampton wasn’t the only back to back winner at Gainesville Raceway this weekend. 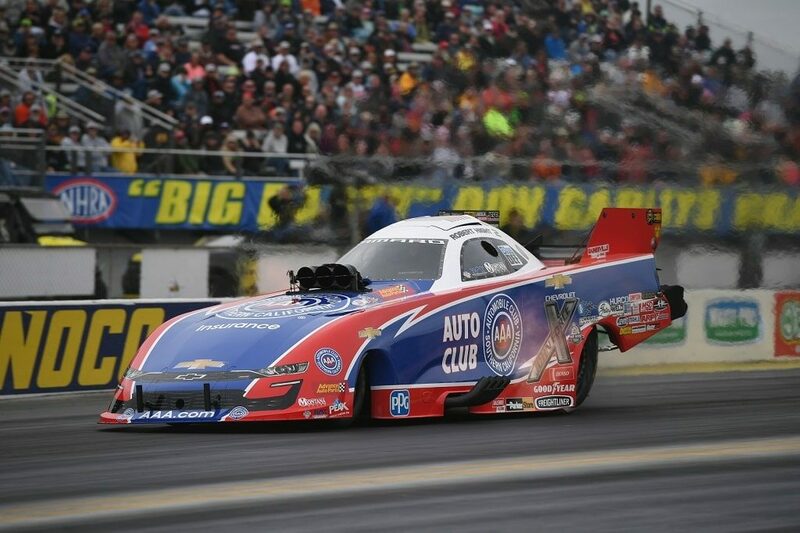 Despite a rocky start to his weekend with the lowest Funny Car qualifying time, past Gainesville winner in 2012, 2014 and 2016 Robert Hight never ran slower than a 3.870 in his Sunday wins over Terry Haddock, Ron Capps and teammate John Force before moving on to the final round on Sunday against Tim Wilkerson. Although Wilkerson put up one heck of a fight all weekend long, as well as a past Gatornationals win in 2010 in his only other final-round appearance at Gainesville Raceway, his car wouldn’t agree to yet another win after his mount faltered just off the starting line, automatically giving Hight the final round win. Following yet another win, Hight now leads the Funny Car category in points as he heads into Las Vegas. 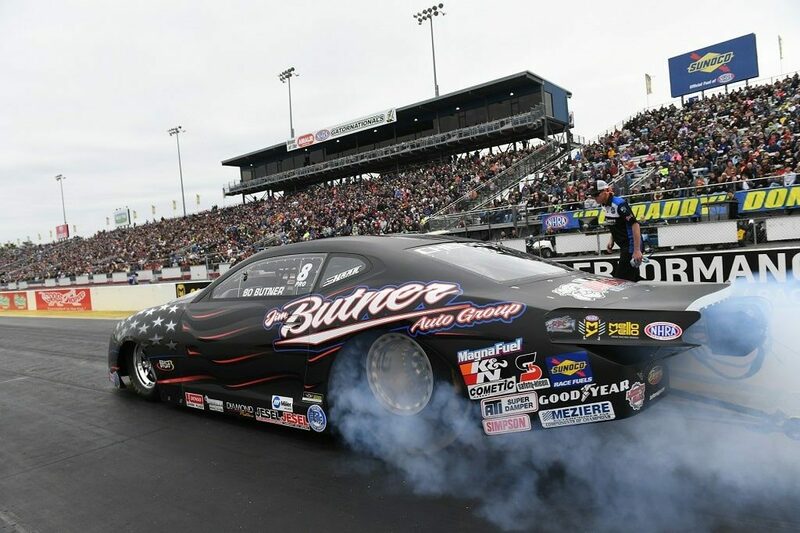 Although the 2017 Pro Stock world champion would fall short in last year’s Gatornationals event after losing the final round to NASCAR’s newest hot shot Tanner Gray, Bo Butner would race his way back to the top after earning the 24th victory of his career this weekend. With wins against Fernando Cuadra, Deric Kramer and low qualifier Rodger Brogdon, KB Racing’s Bo Butner would take on Alex Laughlin in Sunday’s final round. Despite Laughlin having a great weekend, his final round led to an electrical gremlin that prevented him from making the pass against Butner, which gave Butner the chance to share one of his most memorable victory lane celebrations thus far. Like Hight, Butner will also lead the point standings going into the DENSO Spark Plugs NHRA Four-Wide Nationals at the Strip at Las Vegas Motor Speedway. 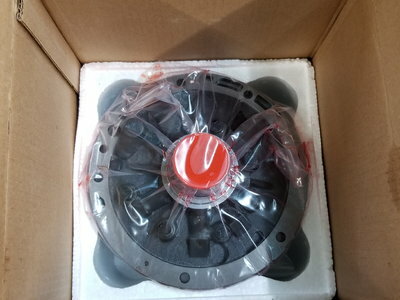 The 2019 NHRA Mello Yello Drag Racing Series season continues with the DENSO Spark Plug NHRA Four-Wide Nationals (April 5-7) at The Strip at Las Vegas Motor Speedway. 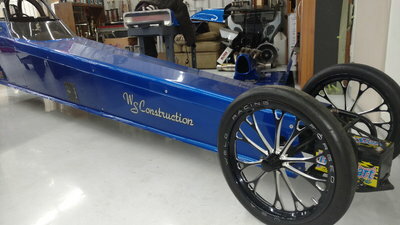 Stay tuned to RacingJunk.com for all your NHRA coverage!